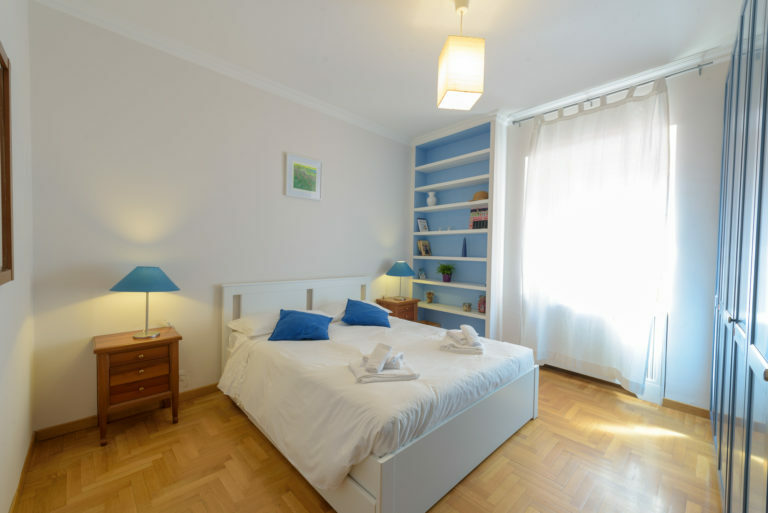 Situated on the third floor of a typical period building, the apartment is composed of a small entry terrace, living room with sofa bed, kitchenette, master bedroom, twin room, and bathroom. The kitchen is fully equipped with induction stove, fridge, microwave oven, dishwasher, toaster, boiler, tableware, cookware and utensils. 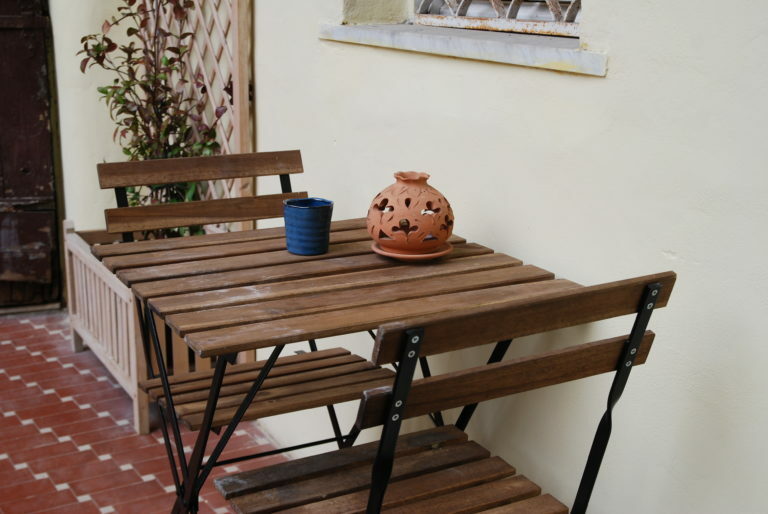 Central heating and air conditioning in all rooms are included, as well as free wireless Internet access. 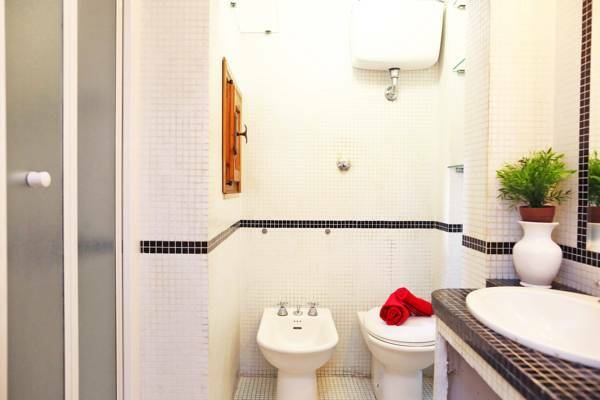 The bathroom has shower, bidet and hairdryer. 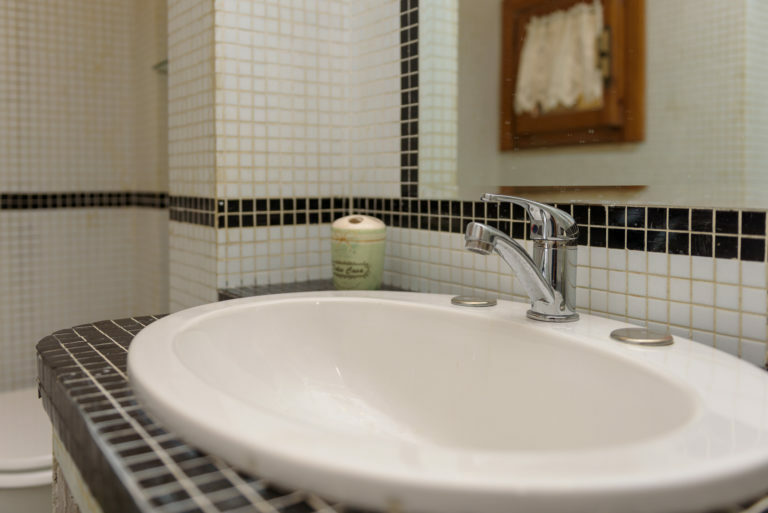 Toilet paper, hand soap, body wash and shampoo are provided. Bed linen and bath towels for all guests are provided. Iron is also available. 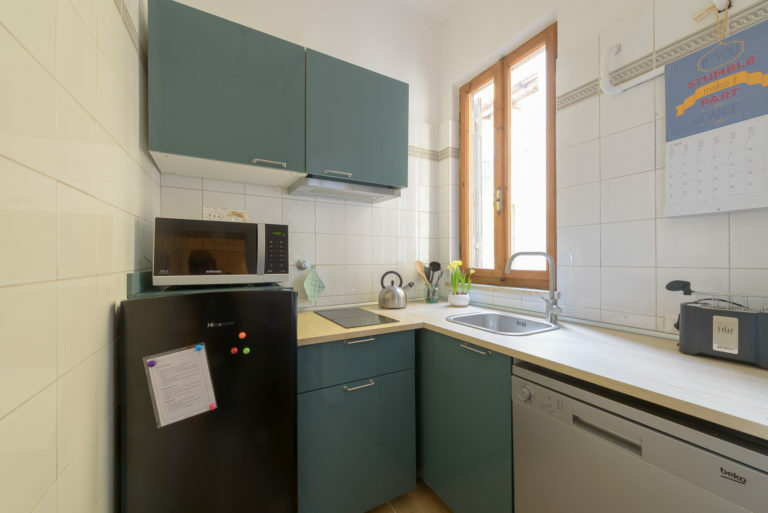 • The apartment is on the third floor - no lift • Parking is not available Via Baccina is within a limited traffic area of the city centre (ZTL), accessible to cars only at specific hours. It is possible to park in between the blue lines, in via Cavour and in the adjacent streets outside the ZTL zone, upon payment (€ 1,00/hour - € 4,00/day). • Check-in time 3:00 pm - 7:00 pm • Check-out by 10:00 am • Smoking is not allowed in the whole apartment, but a comfortable smoking area is available on the entry terrace.